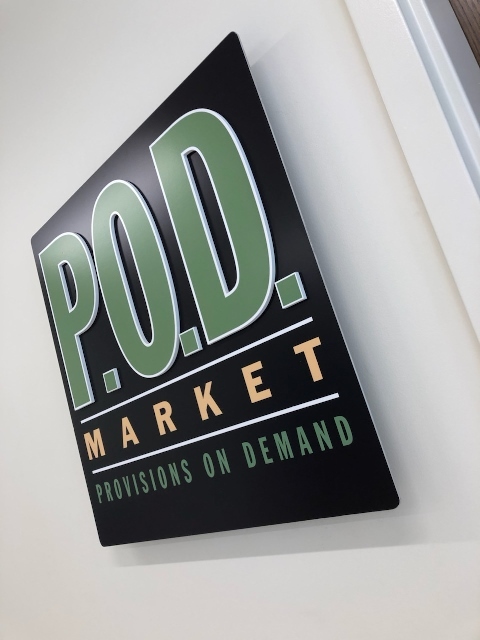 Located on the west side of residence hall Great Plains East, the POD offers a variety of choices right on campus. Stop by the POD in Great Plains East to pick up a Papa John's pizza, snack, meal-to-go, beverage, household item or personal care supplies. Seating is available in the lobby just outside the POD.